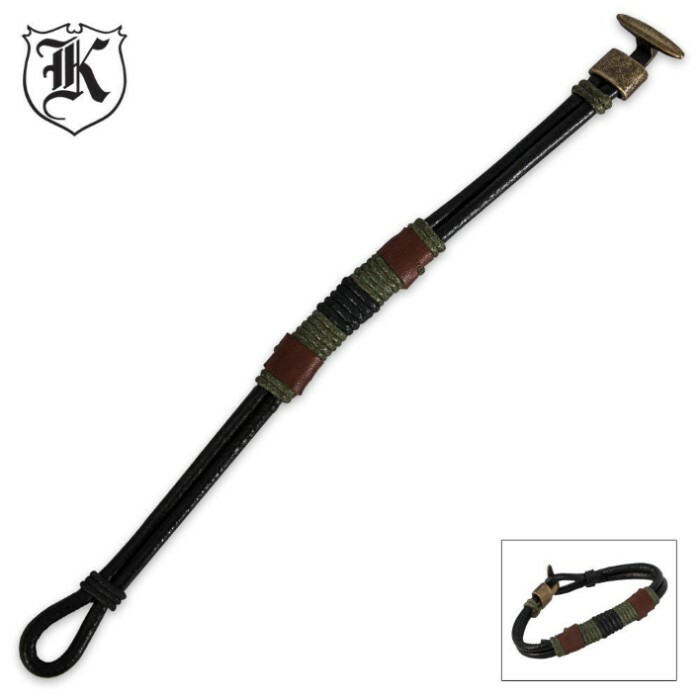 Multicolor Leather Bracelet | BUDK.com - Knives & Swords At The Lowest Prices! Add a little breath of vintage style to your attire with this attractive leather bracelet. 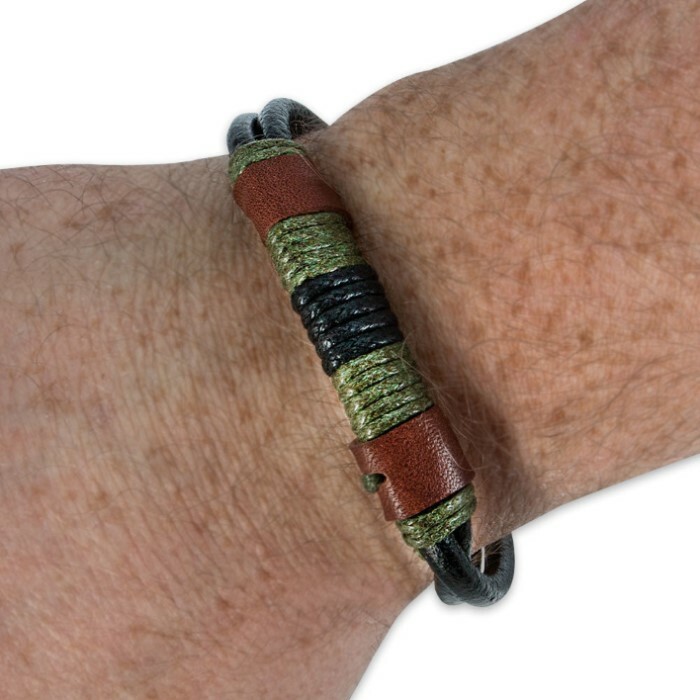 It features multicolor wrap accents around the black leather base. The brass-colored clasp area adds a touch of elegance, making this bracelet the perfect option for work, evening and casual occasions. Dress your outfit up or down with this one!